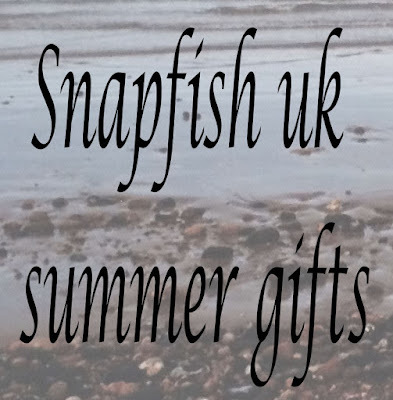 I was recently contacted via email by the team over at Snapfish UK and was kindly offered £40.00 worth of free credit to use on there site to create myself some of there gifts that are listed in there bestsellers category. 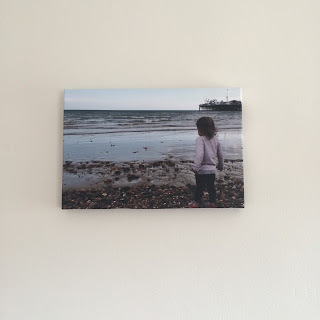 Snapfish UK are a online photo company who provide a range of products from small photo prints, to canvas prints, posters, photo books, mugs, calenders and a whole other variety of things to choose from. 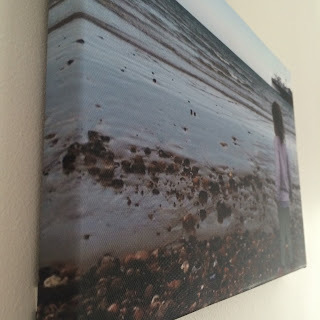 I decided to choose a Slim Canvas Print and also a Collage Poster as these 2 products seemed to be the perfect fit for what I wanted to get put onto them. 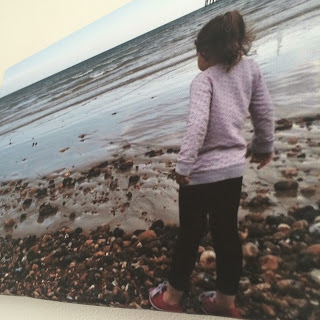 On the Slim Photo Canvas I chose the picture of my niece looking out at the sea with Brighton Pier in the background, and on the Collage Poster I chose a variety of pictures of my niece Daisy as it's always nice to see just how far shes come from when she was born. 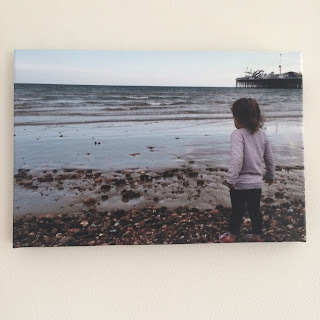 First off this is what the Slim Canvas Print looks like both far away and also up close, I chose this particular photo as this day in Brighton was such a lovely day out and my niece Mia was really excited about going to the beach. I don't get to see my niece's or nephew as much as I would like as they live down in London whereas I live up in Wales, so whilst she was standing there just gazing out at the sea I managed to snap this photo on my iPhone...there was no fancy camera to hand, the other thing I like about this picture is that it has got Brighton Pier in the background of it. So every time i look at the picture I will get good memory's back from that day in Brighton and how much my niece enjoyed being there with us. 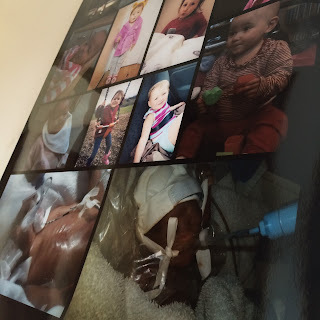 This particular size Slim Canvas Print would usually cost you £21.99, but these can come in 8 different sizes and prices range from £17.99 to £69.99. 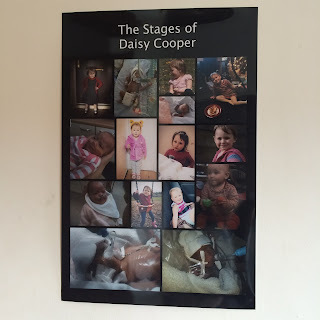 For my Collage Poster I decided to choose a collage of posters of my niece Daisy to show how far she has come since she was born. 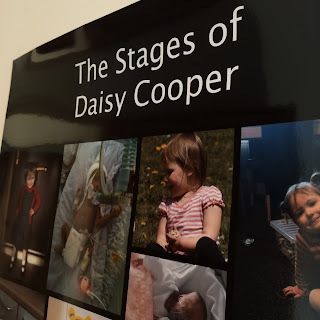 Daisy was a premature baby born at just 23 weeks who has gone through a lot in such a short space of time of her life and these photo's show how shes progressed from being that tiny 1lb 2oz baby into a gorgeous little 4 year old. So I thought having all these pictures on one big collage poster, would be a nice thing to get frames and hang on the living room wall.....now just to find a frame to fit it haha. I was really impressed with the quality of this poster as I really wasn't expecting it to have a glossy finish or to be as big it was when it arrived. 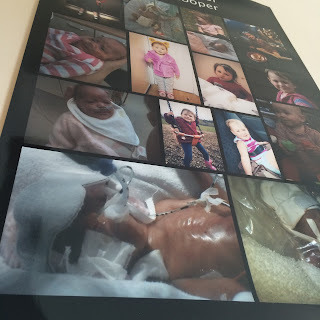 This particular sized Collage Poster would have cost £15.99, but prices of these vary between £4.49 and £23.99 and they can also be done in either portrait or landscape and with or without the writing on them. 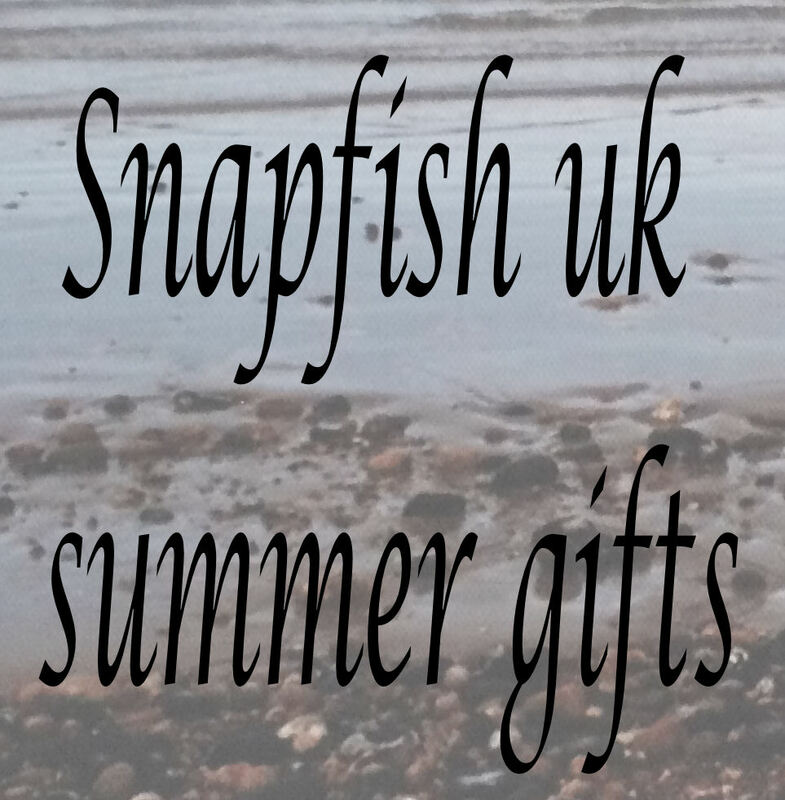 If you are interested in buying anything from Snapfish UK then head on over to there website and check out what amazing stuff that you can choose from and at afforadable prices!